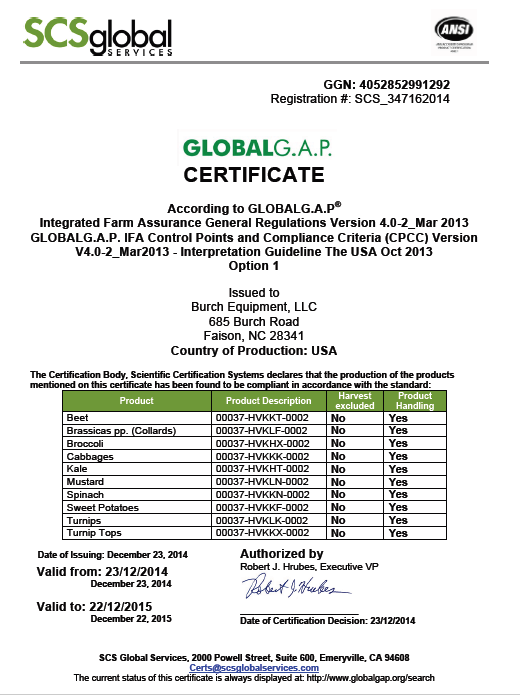 Burch Farms is audited using the GlobalG.A.P. Integrated Farm Assurance scheme. For full certification information, click here.